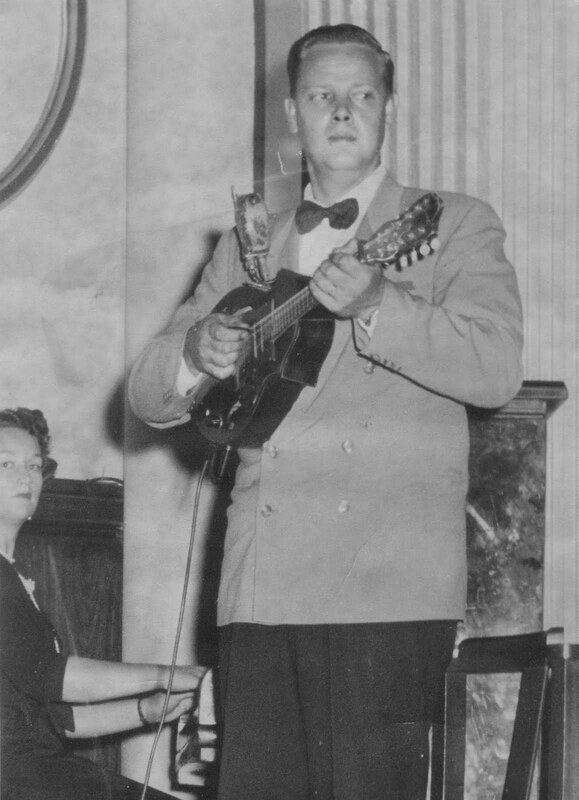 Born in South Africa in 1925, Warder was an athlete, WWII veteran, and inventor in addition to being, reportedly, a great swing mandolinist and early adopter of electrics. It looks like he's playing a KayKraft instrument of some kind here. Warder moved to Canada in 1975, died in 1992, and is remembered as the world's best-known hemochromatosis patient.